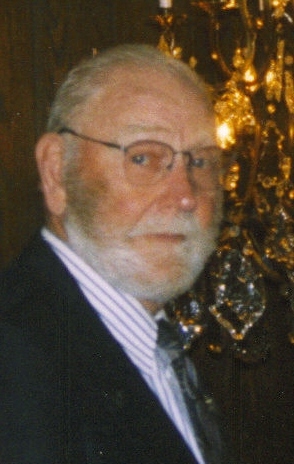 Jacob Tvedt, 95, passed away April 27, 2008 at the Veterans Administration Hospital in Sioux Falls. Jacob was born on March 4, 1913 in Colton, South Dakota to Ole and Mary (Swenson) Tvedt. Jacob attended school in Colton. Jacob enlisted in the US Army in 1942. He saw action in the Pacific Theatre and received Five Over-Seas Bars. He was united in marriage to Angie O'Hara in 1945 in Humboldt, SD. Jacob worked for John Morrell, retiring after 30 years. He also held several other jobs including painting and office maintenance. Jacob was a member of St. Joseph Cathedral and the Crooks Gun Club. He enjoyed all sports and was an avid hunter and fisherman. He also enjoyed spending time in his garden and loved to play cards. Jacob is survived by his wife: Angie; daughters: Patti (Philip) Heuer, Minnetonka, MN and Mary Tvedt, Centerville, SD; two grandchildren, two great-grandchildren; and many nieces and nephews. He was preceded in death by his parents and one brother: Henry. Visitation will be Wednesday at 4 PM with family present at 6 PM, at Barnett-Lewis Funeral Home with a Scripture Service at 7 PM followed by the Rosary. Mass of Christian Burial will be Thursday, 10 AM at St. Joseph Cathedral. Inurnment will be Friday at 10 AM at St. Michael Cemetery with Full Military Rites by the Veterans of Foreign Wars Post #628.